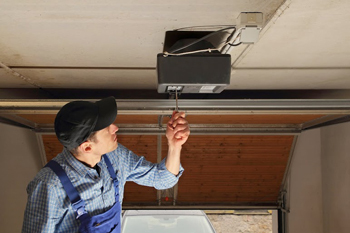 The only difference between garage door emergency services and ordinary repair services is that emergency ones must take place as soon as possible. Those who know garage doors, their importance and possible dangers are aware that emergency problems cannot wait for days till they are solved. In some occasions, they cannot even wait for hours. 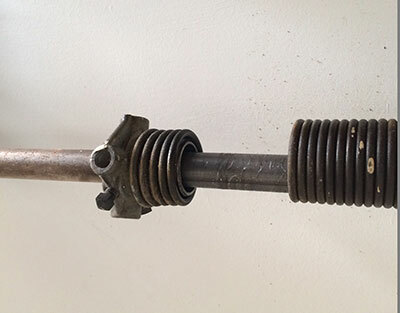 While ordinary issues with noisy rollers and services involving the replacement of a rusty track can be dealt with in a later stage, emergency problems need immediate repairs. Noisy doors might be irritating and should be fixed fast but as long as the door closes and opens and there is no danger to anyone's safety, the service can take place in a day or two. When the roll up garage door is open and the curtain won't come down, problems are multiplied and are related to one's security, safety and convenience. As experts in the field of garage door repair, we know very well that some problems must be handled at once. We know the repercussions and want to prevent the worse for our clients. For this reason, Garage Door Repair Peabody is fast. We are an emergency company and promise speed among other things. We send one of our repairmen as soon as we hear about your problem and all our technicians arrive at your home with full equipment in their vans. When it comes to garage door emergency services, we are the best because we are the fastest and the most efficient team. We consider speed critical during emergencies. That's why we are on our feet and ready to cover your needs. You can be sure that speed is not all we offer. We have excellent technicians at our company who can be of assistance whether your problem is related to overhead door springs, cables, tracks, door openers or any other part. We know how to repair all types of doors and electric operators and are excellent in our job. We inspire confidence in our customers because we are there when they need us. So, call us any time and for any problem.